Hi. 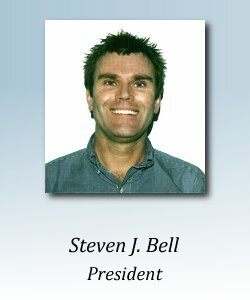 I'm Steve Bell, and this is my website. I run a small business specializing in network security, secure business services hosting, custom equipment, and custom software development. As a "hands on" engineer, originally trained by the New Zealand government's Department of Scientific and Industrial Research, I love working directly with my clients both here in the United States and around the world. Whether I'm providing you with a secure business hosting solution for your company, securing your network with best-in-class equipment from Juniper Networks, or providing you some sort of custom hardware or software solution, I can guarantee you'll be happy with the results. After all, you'll be dealing directly with me, and not some faceless corporation. So take a look around my website, and if there's something I can help you with just let me know.